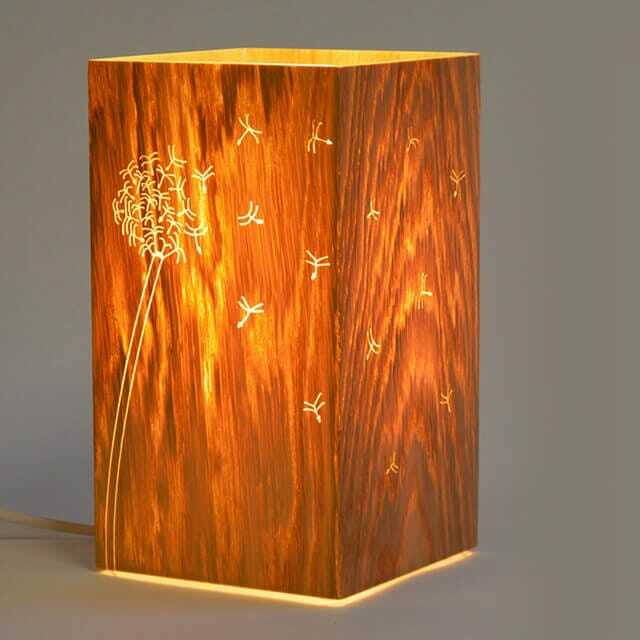 An enchanting engraved wooden lamp that brings a warm glow and eye-catching design to any table. 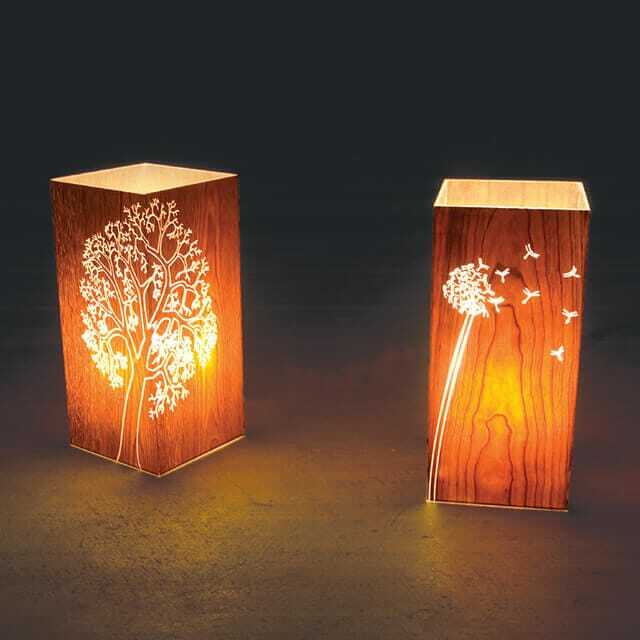 An enchanting engraved wooden lamp that brings a warm glow and eye-catching design to any table, bedside or dusky corner. This desirable gem is part of a range of lamps and lampshades Joachim has developed using GLOgrain, a real wood veneer composite. As well as producing a warming glow, this innovative lighting material allows his design to conceal a lovely surprise. When it’s switched on, the inner light illuminates the engraving plus the natural wood grain itself. Think of it has having two different but equally striking lamps to admire. The lamp comes engraved with a Dandelion.